PLANT SLANT FARE: For ‘a healthier you’! I made the decision to adapt a ‘plant slant’ diet for a number of reasons. There are many health benefits to be gained by making the transition, as well as other benefits for the planet. Watching the National Geographic Blue Zones video How to Live to 100 (https://video.nationalgeographic.com/video/news/dan-buettner-live-to-100-vin) was an eye opener. Many of my family members and other loved ones suffered with various diseases in the years before they passed away. Understanding that people who live in the Blue Zones are exempt from many of these diseases made it a ’no brainer’ for me to make the shift to and promote a plant slant diet. Watching the video FORKS OVER KNIVES: A healthy lifestyle choice that can reverse and prevent disease https://www.youtube.com/watch?v=DZb-35oV_7E further reinforced my decision. Research Shows That a Healthy Diet Will Slow or Stop Most Cancers – https://www.forksoverknives.com/science-says-about-diet-and-cancer/#gs.r=wOu88. Ten Diet-Induced Changes That Slow and Reverse Cancer – https://www.forksoverknives.com/science-says-about-diet-and-cancer/#gs.r=wOu88. Do Vegetarians Get Enough Protein by Dr. Michael Gregor’s – https://nutritionfacts.org/video/do-vegetarians-get-enough-protein/. Comfortably Unaware by Dr. Richard Oppenlander https://www.youtube.com/watch?v=_irghaBmwX0 further opened up my mind about foods that I need, and what I should and should not eat. A plant slant diet is a common denominator in documented cases of Radical Remission of Stage IV and other cancer. Making the transition to a ‘plant slant’ diet can be daunting. Many people worry about getting enough protein if they go ‘plant slant’. This is not true. If you are shopping and cooking for one, like I am for most meals; efficiency and cost savings are key while maintaining a healthy diet in the midst of a busy lifestyle. Where possible I use fresh and organic ingredients. Next best category is pesticide free. I using muscle response testing for health protection while shopping to ensure that products are safe for me. On a recent shopping trip to a well known health food store, of three different organic sweet potatoes, only one was actually safe for me. I teach my clients how to use muscle response testing for health protection while shopping for food. To ensure that I always have nutritious meal options available I make large batches of soups, stews and stoups and other meals as ‘planned overs’, and freeze them in 250 ml canning jars. 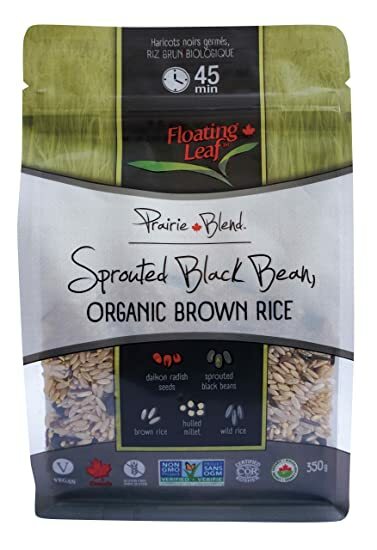 These are easy to thaw quickly and very nutritious poured hot over shredded greens or served with brown basmati rice . I top my soup/stoups with a spoonful of organic radish for a punch of flavour.. Adding some pureed kimchi also adds a zip and more health benefit. WHAT’S IN MY SHOPPING CART? How Do I Use It? I shop the fresh produce first and then top up with the other products listed below. I believe in eating a plant based diet, eating fruits and vegetables, nuts and seeds as close to their natural picked state as possible. My shopping cart is mostly plant based, as close to nature as possible Apples (lots of apples) or other fruit that is in season or frozen (off season I buy frozen berries and thaw the bag and refrigerate it) with ground flax seed, ground chia seeds, hemp seeds (see cautions at the end of the post regarding auto-immune conditions) and walnuts. Black tea. Organic eggs lightly fried in coconut or grape seed oil on authentic sourdough rye toast (no butter/butter) with fruit on the side (sliced apple or small bowl of berries/fruit). Sometimes I poach the eggs. Olive oil should be used for salads and to drizzle on veggies after cooking, not for high heat cooking, roasting or frying due to the trans fats produced. Extra-virgin olive oil is cold pressed from olives using minimal heat and no chemicals. After olive oil reaches it’s smoke point, and burns, its flavour and nutrient content decreases. Organic eggs and left oven roasted veggies and black beans (see below). Olive oil should be used for salads and to drizzle on veggies after cooking, not for high heat cooking, roasting or frying due to the trans fats produced. Extra-virgin olive oil is cold pressed from olives using minimal heat and no chemicals. After olive oil reaches it’s smoke point, and burns, its flavour and nutrient content decreases. Just found a great sourdough rye bread at Polestar Hearth in Guelph (picture above). Check it out at http://www.polestarhearth.com/. Why is sourdough good for you? Find out at https://www.sourdough.co.uk/why-is-it-that-i-can-digest-sourdough-bread-and-not-commercial-bread/. Interestingly, many of my clients who cannot tolerate wheat breads, are able to tolerate sourdough rye with some wheat in it. Vegetable ‘stoup’ (homemade). According to the Urban Dictionary, stoup is a simmered or slow cooked dish that is neither stew nor soup in consistency but somewhere in between. I make very large batches of these stoups and freeze them in wide mouth 250 ml glass jars. One makes a healthy lunch for me as I pour it into a soup mug over a handful of shredded greens, add a spoonful of horseradish and pinch of organic Herbamare (sea salt, celery, leek, cress, onion, chives, parsley, lovage, garlic, basil, marjoram, rosemary, thyme, kelp). Many older people who live alone do not eat as healthy as they could. Having these jars of nutritious stoup in the freezer helps meet their nutrition needs. I often share my jars with people who are in need of a nutritious boost. Making big batches of stoup can be a labour of love or therapeutic. I call it ‘soup therapy’ as it helps during times of feeling anxious or helpless about situations. Tomato vegetable black bean stoup that has onions, organic celery, organic garlic, parsnips, organic sweet potato, organic carrots, organic kale, organic fire roasted tomatoes, organic vegetable bouillon cubes, organic black beans. This also doubles as a chili base that you can add some heat (spices) to. Red lentil vegetable stoup using the same vegetables (except tomatoes) as above and one whole package of organic red lentils. Grilled sourdough rye vegetable sandwich with picked fire roasted red pepper, red onion, spinach/super greens and cheese. Pizza made with multigrain flatbread (no preservatives or additives) with sundried tomato pesto or basil pesto, red onion, shredded greens (arugula, spinach, super greens), feta and mozzarella. Salads of all kinds with mixed greens, topped with organic broccoli slaw/veggies with added beans, pumpkin seed, feta, leftovers and homemade dressing with olive oil. Quinoa, black bean (or chick pea), sweet potato salad with green onions, red peppers, shredded super greens with homemade dressing (organic olive oil mix with lime juice and zest). Sourdough rye sandwich with leftover baked wild caught sole or haddock topped with basil pesto (see below) and greens. Kimchi brings all the benefits of naturally fermented foods to your diet. I like Green Table Kimchi produced in Guelph. Although most people eat it as is, I also like to add small amounts that have been run through a processor to my salad dressings and sauces to use on greens and pastas. A small amount also adds zip to a green drink. I love the zip it gives to my white bean dip which is a great alternative vegan veggie and corn chip dip. My favourite pasta dish is kamut pasta with a mix of blended vegetable kimchi, sundried tomatoes, roasted red peppers and garlic added to shredded basil, arugula or spinach or all three. Although my diet is mostly plant based, occasionally I eat wild caught sole or haddock topped with basil pesto and baked with sweet potato. Omelet with onion, sundried tomato and spinach. Salad with vegetables (fresh, pickled beets), pumpkin seeds, feta cheese with dressing (olive oil mix) or mixed greens with pear almonds, pear and asian dressing. Red lentil curry with coconut milk and lime served on organic quinoa or brown basmati rice (cooked with organic vegetable boullion). Sauteed onions, celery, carrots and garlic – add brown basmati rice, organic vegetarian boullion cubes, black beans and simmer. Add organic fermented soya sauce to taste. Roasted parsnips, carrots, onions, potatoes (cut in bit size chunks) with spices and black beans added the last 15 minutes. Change up the veggies and add your favourites. I like red peppers, brussel sprouts and asparagus. This makes an excellent left over mix to have with breakfast eggs. Pasta (100% red lentil, chick pea – no wheat) with homemade tomato sauce or pesto and shredded greens. I love the lazy lasagna recipe that I make with these noodles, spinach, ricotta, mozzarella and tomato sauce. Spicy black bean burger with super greens, red onion, cheese on a multi grain thin bun (no preservatives or additives) or a side of salad/vegetables. Look for one that is soy protein free. Other vegetarian stews, casseroles. I am always experimenting. You can find some interesting recipes on the Blue Zones website. Stoup over shredded greens with horseradish. Celery, spinach or arugula or super greens, pineapple (or pure juice) and organic pumpkin seed butter plus filtered natural spring water. Apple or pear slices with organic peanut butter, hazelnut butter or pumpkin seed butter. Celery (other veggies) with hummus or white bean dip. If you adapt a plant slant diet you may need to add B12 supplements. Vitamin B12 is Necessary for Arterial Health – https://nutritionfacts.org/video/vitamin-b12-necessary-for-arterial-health/. Spirulina and blue green algae – interfere with B12. Eat sea vegetables on days you do not take B12 supplements. Ideally we should get our protein from the whole plant products not a protein powder. Check to make sure your ‘greens’ or protein mixes do not contain sea vegetables if you are taking B12 supplements on the same day. If you have autoimmune conditions be cautious of protein powders and hemp proteins – https://draxe.com/hemp-protein-powder/. Also be cautious of stevia added to products. This entry was posted in Healthier Product Choices, Healthy Aging, Healthy Food Choice, Natural Cure, Well-being Therapies & Tools and tagged #cancercure, #plantbaseddiet, #reversecancer, anti-aging diet, blue zones diet, healthy eating, plant slant diet, plant slant fare, reverse breast cancer, reverse cancer, reverse prostrate cancer, vegetarian by Elisabeth. Bookmark the permalink.